The Horsefield House lies at the heart of the Broomhill Conservation area. Whilst the property is semi-detached, the shared formal frontage presents a much larger unified property, typical of 19th Century Victorian Gothic villas. The new kitchen and family space is overtly contemporary but uses the scale and proportion of the Victorian building to shape its section and plan form. “The commission was for a small half metre extension, however it became clear that much more was possible; a kitchen dining space with the kind of presence the original Victorian rooms had, and a fantastic courtyard garden bathed in sunlight”. The project sought to rationalise the internal plan and provide the house with a kitchen befitting of the scale of the existing dwelling and modern family life. The original kitchen had been internalised and its purpose confused. 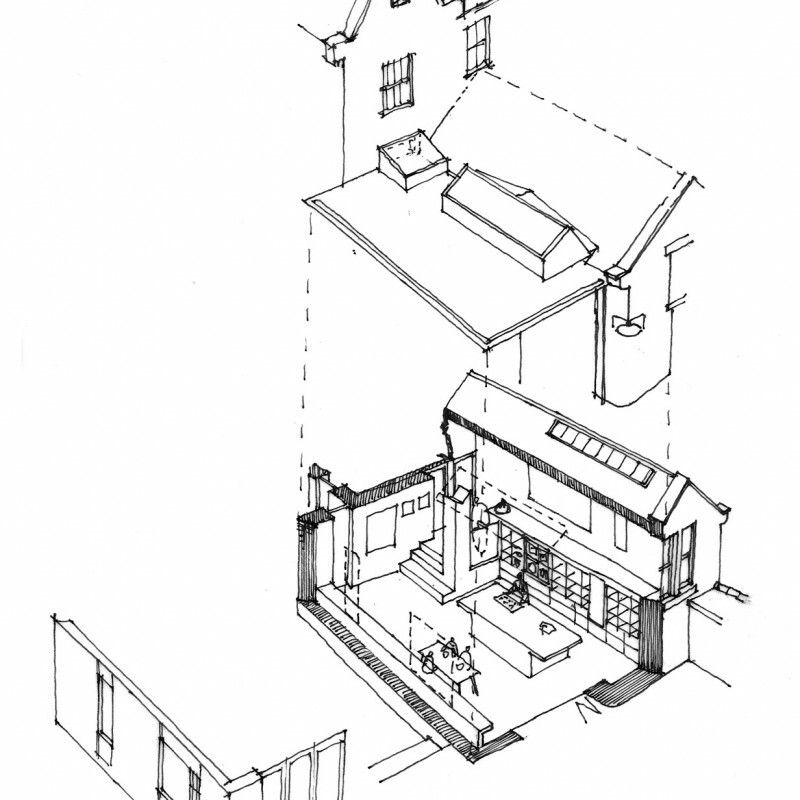 The project reconnects this space with the rear of the house and restores its use as a service space. The new kitchen provides strong physical and visual connections through the house to the garden. The roof lights align to the windows of the rear elevation whilst the angled cheeks reference the steep pitches of the main building’s roofscape. The palette and quality of materials is carefully selected and the stone from the original extension retained and re-used to ensure continuity with the existing building. Stone flags flow from inside to outside and pick up the line of the original off-shot.